It was a baptism of fire for Wellington United's new era under Rapha Christians when they were soundly defeated 8-0 by Lower Hutt City. Having only 8 eligible players on Thursday evening, Friday saw some frantic work from the United backroom staff to ensure players were registered and some last minute negotiations with other clubs, to release players to ensure a team took the field on Saturday. No longer having a joint venture with the Phoenix Academy meant the coaching staff have had to recruit a team from scratch and with very little time to do it the club has effectively not had a pre season. Ironically they were facing the club where the Phoenix Academy now call home, Lower Hutt City. The lack of pre season affected United alot, with fitness still an issue and players still trying to work out combinations on the field. Christians said the first 25 minutes were good and showed what United could do. 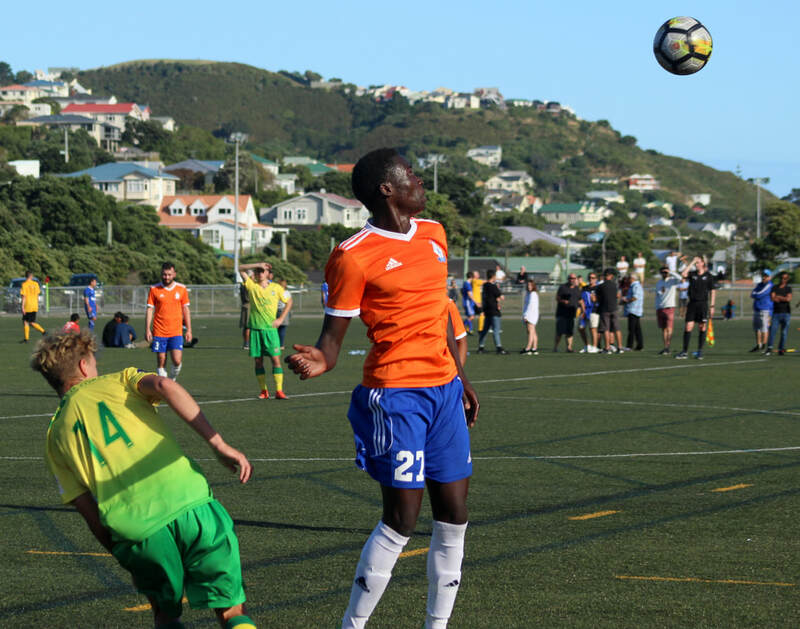 Lower Hutt City assistant coach, Steve Coleman agreed saying the first 20 or so minutes were a very close battle, but once they got the first goal the game changed. From then on he felt Lower Hutt showed more intensity and incisiveness and gave him a very pleasing start to the season. For United coach Chrstians there is plenty to work on, although amazingly after such a big loss United don't find themselves bottom of the table as Wairarapa United went down 10-0 to Wellington Olympic!